Why are we afraid of the dark? Everyone feels this most basic fear, we're born with it. We fear the dark because we don't know what's waiting in its depths. After all those nights calling our parents back into the room to check under our beds or in the dark closets, that fear of the unknown still haunts us. There's still that goose bump inducing feeling when the lights suddenly go out and we find ourselves surrounded by darkness. This creepy face mask is exactly what you don't want to imagine the moment you realize the light bulb in your basement has gone out. What is it? The flesh is pale and veiny. It could be some sort of unfortunate soul that lost their face. It could be some slightly shiny worm, hungry for human flesh. Whatever it is, it's sure to scare the pants off people at your Halloween parties this year. 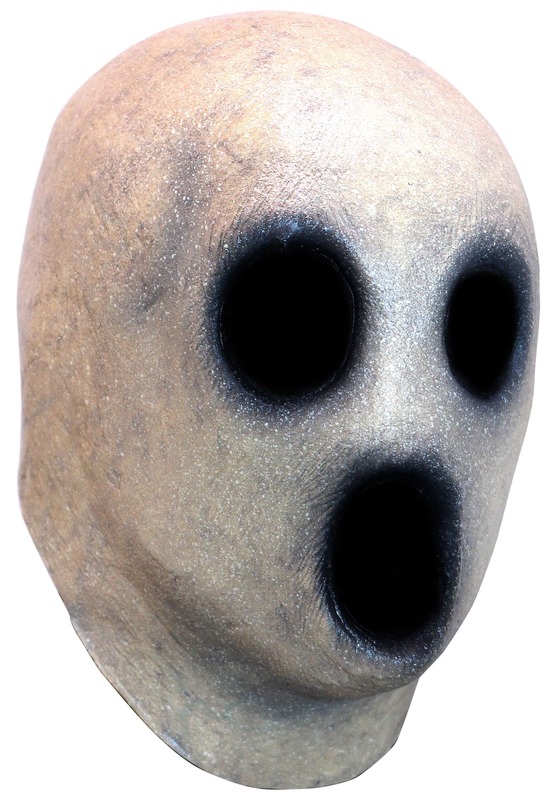 This faceless form will remind people of those moments in the dark as a child. Unfortunately, if you spend too much time gazing into the mirror in this guise you'll probably be back to sleeping with a nightlight on within the week.